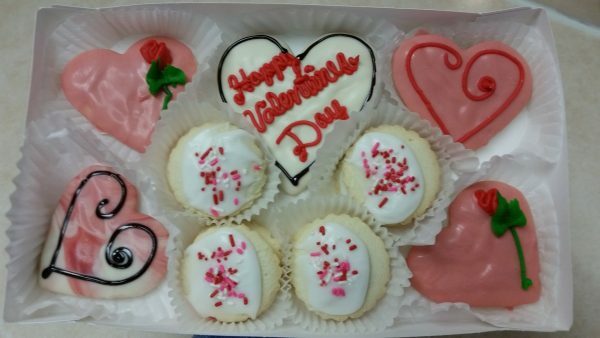 The Valentine’s Sugar Cookie Box is filled with delicious chocolate dipped sugar cookies. These individually decorated sugar cookies are dipped in colorful white chocolate. Enclosed is 1 medium and 4 heart shaped cookies surrounded by customers’ favorite Butter Star cookies. As all our cookies are decorated by hand, all cookies will vary in color, decorations & designs.